2.0 Starts with Earth shattered openings on First day! 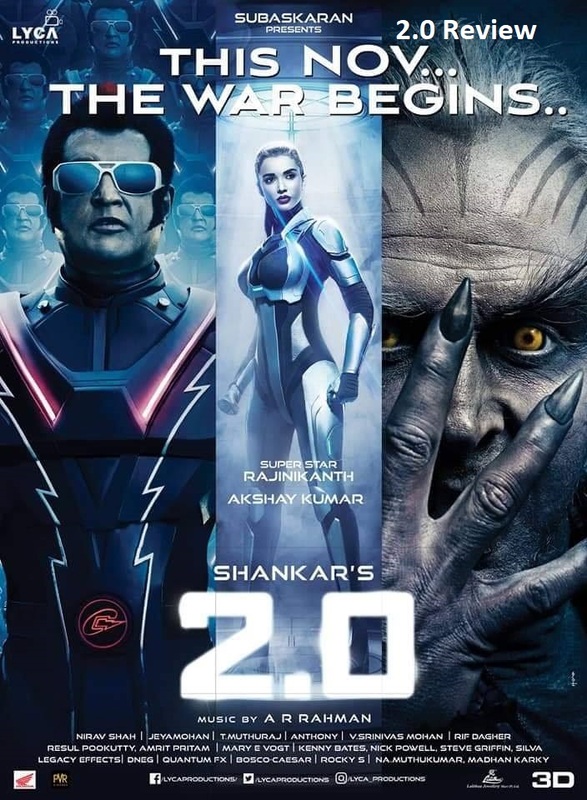 The much-awaited India’s costliest film 2.0 starring Rajinikanth and Akshay Kumar film had already created a huge hype after its trailer launch. After much delay and years of hard work, The Visual Wonder which has been directed by Shankar finally hit the screens today with huge collections. The film was released by Dil Raju, Envy Prasad and Yuvi Creations, while Karan Johar released the film in Hindi and the movie is going to be a big hit. After the release of Baahubali Conclusion all the box office records of India were re-written. Now with the release of Shankar’s 2.0 Movie it looks like the history will repeat itself. Its trailer got 25 million views with in 24 hours on YouTube and now the film has crossed another achievement as its one million tickets have already been sold in advance, according to trade analysts. Book my show also stated that over 1 million tickets have been booked on the site already for 2.0. Meanwhile, Thugs of Hindustan that released this Diwali collected over 50 crores on its opening day making it the highest opener of Indian cinema yet. 2.0 Movie has raked Rs. 120 Crores+ from it’s advance bookings itself across the Globe. Film exhibitor Akshaye Rathi, in a conversation with Zoom TV Digital ahead of the film’s release, had revealed that it may earn an amount betweeen Rs 80 crore and Rs 85 crore on Day. While Akshaye predicted an opening of Rs 45 crore for the Tamil version alone, he sounded confident about Hindi version to make at least Rs 15 crore on the opening day. The Telugu and Malayalam versions, too, will perform well, he had asserted. Rajinikanth, Akshay Kumar and Shankar starrer 2.0 Movie expected to cross 100 crores mark on it’s First day Box office Collections. 2.0 Movie is getting tremendous response across the globe and starts with earth shattered Openings on it’s First Day at Box Office. Follow us to read more latest info about 2.0 Movie Review and News updates on Amaravathi News Times. 2.0 Movie Review. 2.0 Starts with Earth shattered openings on First day! The much-awaited india's costliest film 2.0 starring Rajinikanth and Akshay Kumar film had already created a huge hype after its trailer launch. NextCelebrities Tweet about 2.0 Exclusively!